Some of Vermont's working farmland is under a land protection deal called the Current Use program. Protected land in New England from the study " ssessing the Local Economic Impacts of Land Protection." Currently, about a quarter of New England’s land base is permanently conserved. The co-lead author on the study is Katharine Sims. Katharine Sims, Amherst College: New England has seen substantial new land protection in the past 25 years. Since 1990, more than 5 million acres of land have been conserved by public and private actors across New England. Given this large increase in our conserved land, we wanted to understand what it meant for the local economies of the towns and cities across New England. So our study analyzed how increased land protection in New England towns and cities affected employment and other economic indicators. We used data from 1,500 towns and cities across 25 years from 1990 to 2015. We found that when land conservation increased within a town or city, local employment responded positively over the next five-year period, even after controlling for other confounding factors. Carrie Healy, NEPR: That's slightly strange. Many people think of a rural area as having limited job opportunities. There's a belief that protected land will also limit growth, so that means a loss in tax revenue. That's right. But we actually found that the data showed the strongest employment gains in more rural towns in New England. I agree with you that, you know, economic theory suggests land protection could have both positive and negative impacts for local economies. Land protection provides jobs through sustainable resource use, tourism and recreation, and creates amenity values that attract new residents or new businesses. But at the same time, land protection is designed to limit intensive resource extraction and could slow down some types of local housing development or commercial development, which could reduce growth. So, yes, theoretically the results could have gone in either direction, but we found that land protection did help local economies grow in New England, across this this period, I completely agree with you about the rhetoric. There's lots of rhetoric suggesting that environmental protection and economic growth are not compatible. But our work suggested that, you know, market economies were remarkably adaptable to change in this case. How does this study compare to other studies? Have there been other studies of this on New England? There haven't been other studies of this on New England. This is a unique study bringing together a broad set of data. Previous studies in the United States have usually focused on public protection, such as our national parks in areas with fairly low population density. But the future of conservation will actually look more like it does in New England, with both public and substantial private conservation in more densely populated regions. So one thing that was unique about the study was our inclusion of private land protection achieved by the efforts of more than 350 separate land trusts and hundreds of other protection organizations and committed individuals, as well as the achievements of federal, state and municipal organizations that conserve land. So this comparison between public and private conservation and the inclusion of both is unique to our study. Could you describe for me an example of how conserved land actually worked to boost local employment and the labor force? To describe the size of these employment gains: if a town with 20,000 people employed increased their land protection from, say, 10 percent of their town's area to 15 percent of their town's area, they saw, on average over this time period, about 300 additional people employed in the next five-year period. And when we think about the reasons for what might create these changes, we can think about the factors that help increase economic growth due to land conservation. Stewardship of the land creates places where people want to live and they want to work. It also allows continued production of timber and non-timber forest products on many of these lands. And land protection facilitates increased tourism, increased arts, outdoor recreation. We know that all of those activities contribute to local economies across New England. So we think that the mechanisms are really coming both through amenity growth, making towns and cities more attractive places to live, and through increased tourism and recreation, and through sustainable production of timber and non-timber forest products across the region. 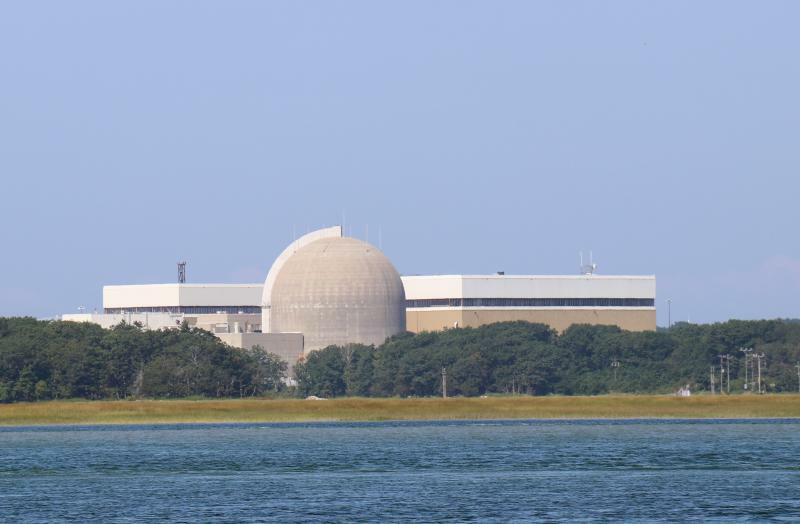 Nuclear regulators say they plan to approve a new license for Seabrook Nuclear Power Plant next week. It comes after an extra public hearing on concerns they were moving too quickly to approve the license extension through 2050. Residents of the Berkshires have rented out rooms in their homes for decades as a way to make extra income. But some innkeepers now say their room rentals are down because of competition from short-term rentals, like those found on Airbnb.